Former U.S. Treasury Secretary, Robert Rubin, has decided he wants to rewrite his resume, removing the ugly warts from his days at Citigroup. That mega bank started as a financial supermarket that Rubin helped to make possible behind the scenes in the Bill Clinton administration, followed by a giant crash and the largest bank bailout in U.S. history from 2007 to 2010. Rubin strolled out the door of Citigroup in early 2009 $120 million richer than when he originally rolled his shopping cart into the well-stocked aisles of hubris at Citigroup almost a decade earlier. The New York Times has apparently decided to help Rubin exorcise Citigroup from his past. In an OpEd in the New York Times New York edition today, neither he nor the New York Times in its bio mentions so much as a syllable about Rubin’s infamous tenure at Citigroup. The uninformed reader would assume that Rubin is a veteran of Goldman Sachs and a former U.S. Treasury Secretary and there’s nothing more to see here. But there’s plenty that the public needs to remember about Rubin and Citigroup –and that history makes the thrust of Rubin’s OpEd akin to a Saturday Night Live satire. The shareholders of Citigroup who are still nursing stock losses of 85 percent from the bank’s pre-crash days aren’t going to be too comforted by reading about Rubin’s musings about existentialism in coffee shops around Harvard when he should have been cramming for finance courses that might have led to his questioning the more than $1 trillion bucks that Citigroup held off its balance sheet in the leadup to its crash. What the public learned in Senate hearings after the 2008 crash and Justice Department charges is that Goldman Sachs wasn’t so much about existential thinking as it was about selling off its toxic holdings to customers as good investments and then shorting the hell out of them. But, to be fair, Rubin wasn’t at Goldman Sachs in the leadup to the epic 2008 Wall Street crash which was the most financially devastating event in the U.S. since the Great Depression. 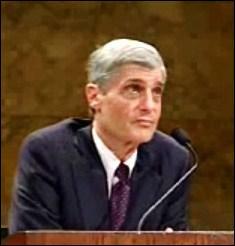 Rubin went directly from U.S. Treasury Secretary to become Chair of the Executive Committee at Citigroup in 1999. He remained in that position until he stepped down in January 2009 as the bank was imploding. In the leadup to the financial crisis, Rubin was briefly named Chairman of the Board of Directors of Citigroup in 2007. As a result of an amendment tacked on to the Dodd-Frank financial reform legislation by Senator Bernie Sanders, a General Accountability Office report eventually revealed in 2011 that the Federal Reserve had pumped $16 trillion in almost zero interest secret loans to Wall Street to save it from its own hubris. Citigroup received $2.5 trillion of those loans from late 2007 to the middle of 2010. In addition, Citigroup received $45 billion in capital from the U.S. Treasury; the Federal government guaranteed over $300 billion of Citigroup’s assets; the Federal Deposit Insurance Corporation (FDIC) guaranteed $5.75 billion of its senior unsecured debt and $26 billion of its commercial paper and interbank deposits. This was the largest bank bailout in global banking history. The two individuals Warren refers to who were “implicated twice” in the FCIC’s criminal referrals are Robert Rubin and Chuck Prince, Citigroup CEO during its implosion. A third Citigroup executive was also on the list, Gary Crittenden, the CFO at Citigroup at the time of its crash. Crittenden is the person who was fined $100,000 by the SEC for grossly misstating to the public the amount of Citigroup’s subprime debt exposure. The public heard nothing further about Senator Warren’s inquiries over the next year. Wall Street On Parade decided to file a Freedom of Information Act request on the matter with the Justice Department in October 2017. (You can read the full response we received and our reporting on the matter here.) The DOJ effectively stiffed us in receiving any meaningful response. Existential thinking did actually come in handy when Rubin was hauled to testify before the Financial Crisis Inquiry Commission on March 11, 2010. (Read the full transcript here.) Rubin responded “I don’t remember” 41 times during the interview. Rubin didn’t rely solely on existentialism, however. Some invisible hand had comfortably arranged for Rubin to forego taking an oath prior to his testimony. Perhaps it was his team of six lawyers from two of the most powerful corporate law firms in America: Paul, Weiss, Rifkind, Wharton & Garrison and Williams & Connolly. One of Rubin’s lawyers from Paul, Weiss was Brad Karp, the lawyer who has gotten Citigroup out of serial fraud charges in the past. America is still living through the crippling ravages left in the wake of the 2008 financial crash. The country has the greatest wealth inequality since the late 1920s and trust in American institutions, including media and Congress, is hovering near all-time lows. Surely the New York Times can find something better to do with its newsprint than help Robert Rubin write a preposterous resume of his days on Wall Street.